Situated in the village of Belle-Mare on the east coast of Mauritius, LUX* Belle Mare is one of the most lavish hotels of the island. 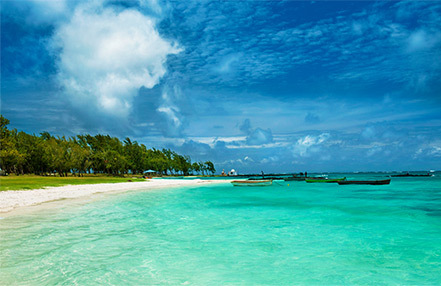 This vibrant beach hotel welcomes you with its pristine beach and sparkling lagoon. Thatched roofs give the buildings an authentic charm and the refined furnishings add to the peaceful and blissful feeling of the environment. Wake up to the sound of the ocean in one of the seven magnificent types of rooms, suites or villas. They all have a sea-facing terrace or balcony. Indulge in a culinary adventure by tasting a selection of dishes from the different restaurants. The main one, The Kitchen, offers a range of mouth-watering authentic island cuisine while The Beach invites you to taste its seafood barbecues and pizzas. Discover south-east-asian cuisine at The East or embark on a journey of creative cuisine at Senses. LUX* Belle Mare is particularly good for families with a mini-club and a teenager club providing exciting activities that keep them busy while parents relax at the pool or the LUX* Me Spa. Spacious and airy, with terraces overlooking the tropical gardens and lagoon, each Classic Junior Suite offers the utmost in comfort and style. Each suite is equipped with king-size sleep tight beds, a dressing room and luxurious bathroom with a large walk-in shower, two wash basins, a bath and separate toilets. Enjoy beautiful views coupled with direct access to one of the island's largest swimming pools in this stylish Junior Pool Suite. Find out what's happening in the rest of the world with free high speed Wi-Fi Internet, and then perhaps settle in for the night with a complimentary DVD from the extensive collection. Each suite also features air conditioning, ceiling fans, bath amenities, slippers, bathrobe, television (Satellite), telephone with IDD, minibar, tea & coffee facilities and hairdryer. Feel the gentle breeze from the slow-turning ceiling fans in your beautifully appointed Honeymoon Suite. Enjoy a romantic breakfast for two outside on your spacious terrace or an unforgettable dinner under the stars. This unique Suite offers the ultimate in elegance and comfort. Sink into a plush sofa, tuck into dinner in the private dining room or sunbathe in absolute privacy on your picturesque rooftop terrace, complete with solarium and whirlpool. A connecting Junior Suite is also available for family and friends. Another large terrace gives direct access to the tropical gardens and beach, while a private butler is on hand to see to your every need. Spacious and airy, with terraces overlooking the tropical gardens and the zen pond, each Junior Suite offers the utmost in comfort and style. Kelly Hoppen’s signature palette of neutrals punctuated with accents of zingy colors adds to the inviting ambience. Meant for couples; these suites ensure quiet and tranquil surroundings combined with a sumptuous dash of romance in the air! These suites feature special amenities in the room including the Focal sound system besides all the features of Junior Suites. 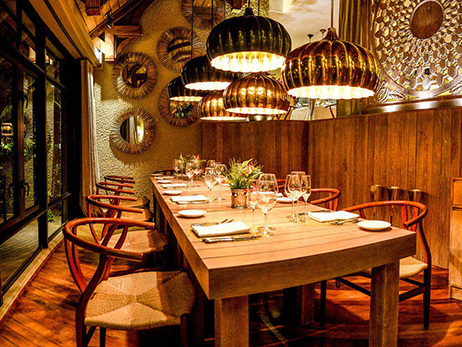 For a dash of Asian spice, head to Amari by Vineet, the resort’s new Indian restaurant – a clean-lined but opulent space for the Michelin-star chef’s scintillating fare. A leading light in the reinvention of Indian cuisine, Chef Vineet Bhatia won his first Michelin star at Zakia in London in 2001, followed by another in 2006 for his personal venture 'Rasoi' at London as well as in 2009 for 'Rasoi by Vineet' in Geneva. His masterful technique makes the textures and flavours of India shine, in sumptuous, subtly spiced dishes with contemporary flair. Duck Laundry is the place for contemporary-style Chinese dishes, featuring duck in its many guises includingcrowd-pleasing Peking duck with steamed pancakes. Dim sum, on-the-spot noodle stations, a wood-fired duck oven and a Chinese barbecue station complete the experience, crowned by a varied selection of Chinese teas and Asian spirits. Lux Belle Mare isn’t just about food: open from lunchtime to midnight, the K-Bar knows a thing or two about tempting tipples. Light snacks and classically British afternoon teas make a pleasing preamble on the deck facing the ocean. At night, the bar takes on the airs of a microbrewery and serves our own range of refreshing B-LUX* craft beers, including its very own cuvée LUX*, a whisky-barrel-aged brew with hints of Café LUX*. In the minibars, you’ll find personalised bottles of beer. While staying in sugar country, don’t miss Mari-kontan, a cabana-style rum corner featuring a delectable range of Mauritian spirits. Bottles of local rhums arrangés (flavoured rums) make great souvenirs. Kitted out with the latest Technogym equipment, LUX* FITNESS is a state-of-the-art haven for fitness-keen guests. It’s an airy, welcoming space for exercise. Start with a body balance analysis: whether you want to kickstart new healthy habits or sustain your home routine, the personal trainers will help you achieve your fitness goals. Refurbished in 2014, The Spa is a modern, sprawling space for indulgent cosseting. Set in a peaceful Zen garden, it has a steam room, a sauna, a chilled plunge pool, a heated swimming pool and a Tea Lounge for relaxation. 12 treatment rooms offer a host of round-the-world therapies: pick from a private couples’ spa suite, two traditional Chinese medicine suites, one authentic Indian Massage suite offering Ayurvedic treatments and two Thai massage suites. Treatments are tailored around four guiding principles: relaxation and stress relief, anti-ageing and rejuvenation, cleansing and detoxifying, and weight loss and toning. Therapists work with LUX* Me ’s exclusive range: there are over 60 beautifying and therapeutic products to choose from, as well as powerful essential oils created for LUX* by renowned aromatherapist Shirley Page. Introduced to the Spa in 2014, Zhengliao is a deeply curative and corrective addition to the treatment line-up. Specially developed for LUX* Resorts, treatments tap into several branches of traditional Chinese medicine, harnessing the body’s own innate healing potential. To complete LUX* Me ’s holistic approach, the resort’s in-house nutritionist is on hand to provide simple and manageable tips for a healthier lifestyle - without sacrificing the good things in life. The resort’s healthy food options are fresh, tasty and seasonal. Dietary preferences can be accommodated in all restaurants, where nutritionally balanced vegetarian and vegan dishes are on offer - delicious alternatives for even the most dedicated of carnivores. Stop by LUX*’s FRESH stations to stock up on fresh vegetable juices, green smoothies, coconut water and fruit and vegetable lollies throughout the day. For enthusiasts, there are also cookery classes and interactive nutrition talks so guests can share stories and bring new healthy habits home. The swimming pool with a massive 2,000 m², close to the beach and the lagoon, is exceptional. There is a separate area for young children and those who want to swim or splash around in shallow water, and plenty of sunloungers around the edge, so one can relax comfortably in this magnificent setting. Free of charge: windsurfing, pedal boats, kayaks, mini-sails, snorkelling, glass bottom boat rides and water-skiing. 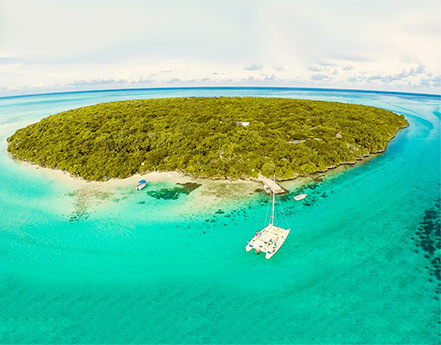 For a fee: speedboat rides, “ski tubes”, scuba diving (PADI 5-star diving centre) and big game fishing. 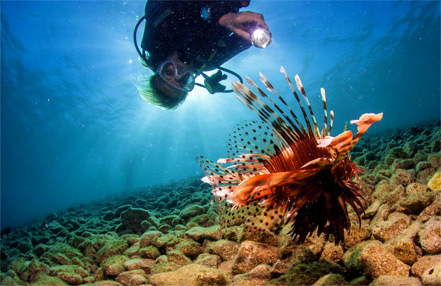 Dive Sites : The sites are situated 10 minutes by boat from the hotel. They are 1.5 km apart and, as well as the corals, the sights include Tuna, Barracudas, King Fish, Eagle Rays and small White Sharks. Free of charge: gym, beach volley, table tennis, floodlit tennis courts and mini-golf. Exercise classes include Yoga, Tai-Chi and Stretching. For a fee: mountain bikes, pool tables and electronic games. There are three 18-hole championship golf courses close to the hotel. With its lovely atmosphere, offers a large room for activities and a fenced garden play area outside. The qualified hostesses really know how to get on with children, as they look after and entertain youngsters from 3 to 12. A babysitting service is also available on request, for a fee. Children's dinner is served at 6.30p.m. every night. The Teens Club arranges a multitude of activities for those aged 12 and over, including a number of optional excursions outside the hotel. (Open during school holidays only).